Crewmeister is your employee management cockpit to keep track with the working times and absences of your employees. Crewmeister ist specifically designed for the requirements of small businesses - Simple, flexible and affordable. Independent of industry verticals Crewmeister digitalises your paper based timesheet organization with the blink of an eye. 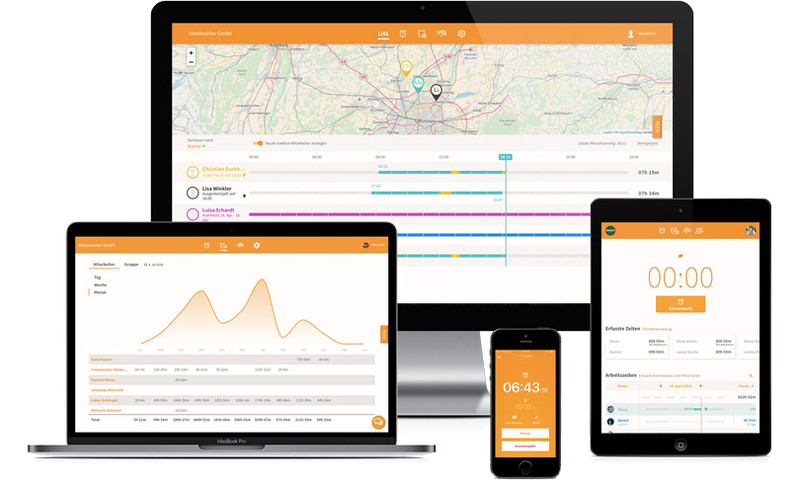 Tracking and recording working times with Crewmeister is unbelievably simple. Employees just clock in when starting to work and clock out in the evening. For this they can use any desktop computer, tablet or smartphone. Each working time can optionally be complemented by a note or can be connected to a certain project or customer. You can always correct, control and evaluate the saved data quickly and easyly. This saves a lot of time and nerves and is to 100% correspondent to the documentation requirements of the german minimum wage regulation. This Crewmeister module lets you easily request, grant or reject absence periods of your employees. In our absence cockpit you can see in real time who is off from work right now or how many vacation days a certain employee has left. To avoid workforce shortages, the vacation planner tells you for each vacation request how many and which employees will be off during this period. 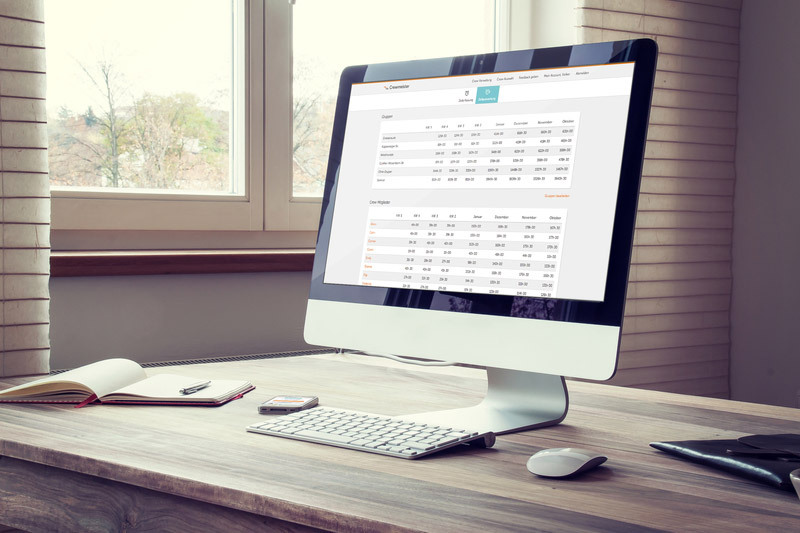 Like all Crewmeister features, the vacation planner can be accessed from anywhere with any smartphone, Tablet or personal computer.